If you don’t know anything else about me other than my skateboarding addiction and new found passion for rap, I love outer space. It all started when I was in High School watching a Stephen Hawking documentary one night. He talked about time travel and just so many fascinating things that dealt with the universe. Ever since then I would go about talking about what I learned from that documentary. My love for space continued through more online research and books I would pick up from the library (which I mostly looked at pictures). I didn’t take my endeavor in learning about space until I got out of High School and entered college. Around this time I learned about Nibiru and all the crazy conspiracy theories. Discovering all over this catapulting me into how the universe works, black holes, the kuiper belt, and other planetary systems. Oh, did I also mention that I’ve always had this keen interest in aliens? For some reason growing up, I always thought about life outside of earth. Stargazing as a child allowed me to think abroad and just wonder what was out there. As I said earlier about the whole conspiracy theory stuff, I dug a deep hole into the realm of ET life. The Sumerian gods or also known as the Annunaki plagued my mind and filled it with questions that needed to be answered. My answers came… well somewhat. 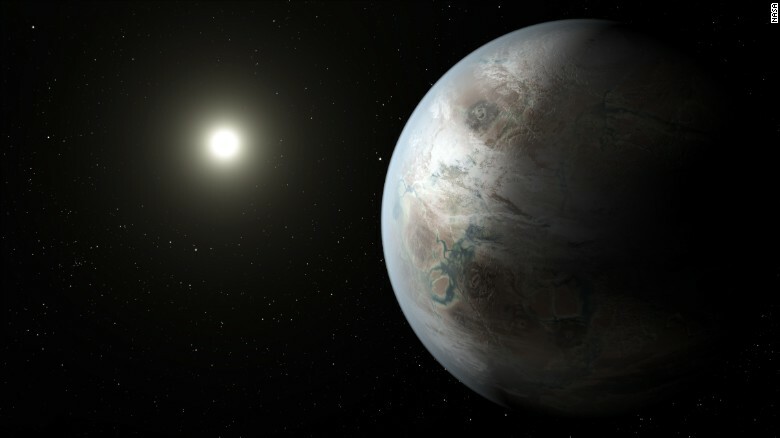 When I came across articles about NASA discovering habitable planets I thought “THERES THE PROOF RIGHT THERE!” What made it difficult for anyone to believe is that these planets are so far away. Now NASAs Kepler Spacecraft has found a habitable planet that has been in the universe for at 6 billion years. Thats long enough to sustain and create life. I’m hoping that NASA can get photos of this planet and send them back home because this is a must see for me. For a long time now I have dreamed of other planets and have had crazy thoughts about being reincarnated on one of these planets. Hopefully more research will surface in the future and we can find out more about this new planet. Maybe they’ll sound out a telescope like they did Pluto?